Upper X-Member: 0.75" x 0.058"
40027 - Jegster Wheelie Bars & Components is rated 1.0 out of 5 by 1. Yes, these do have some adjustment capability. 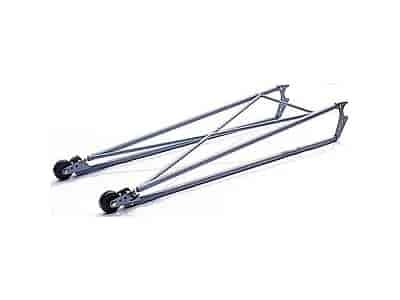 can I order these completely welded to desired length for whatever additional charge, and are the adjustable at the wheel fro height adjustment? can't tell from picture. No, you can modify the length and finish welding the bars.